Sony Classical is proud to announce a long-term, multi-album deal with charismatic star tenor, Roberto Alagna. Over a glittering, highly acclaimed international career spanning more than thirty years, Mr. Alagna has built a huge and dedicated following around the world. Acknowledged as France’s most important classical artist and as a cultural icon, he is one of the leading tenors in the world. All in all, Mr. Alagna has sold over 5 million albums in France alone, making him the country’s most successful classical recording artist ever. 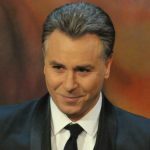 Roberto Alagna’s passion for opera, song and the voice in general has expressed itself in many chart-topping recordings in which he transcended musical boundaries, showing an innate ability to move easily and with integrity between genres. Roberto Alagna is as much at home in the television studio, presenting his own show ‘Roberto Alagna au Royaume des Deux-Siciles’, as he is on the opera stage or crafting imaginative concept albums which have included a multi-platinum selling homage to popular Spanish tenor, Luis Mariano, as well as finding new sounds in the musical tradition of his family’s native Sicily. Born in 1963 in France, Roberto Alagna was largely self-taught, having been influenced as a young man by the films of Mario Lanza. 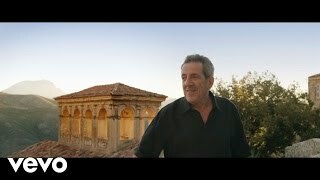 Moving swiftly from pop and song to opera, the turning point came when he won the Luciano Pavarotti International Voice Competition in 1988. Soon thereafter he made his professional debut with the Glyndebourne Touring Company as Alfredo Germont in Verdi’s La traviata and invitations to sing at La Scala, Covent Garden and the Metropolitan Opera soon followed. He never looked back and has since added about 60 operatic roles to his repertoire, appearing on international stages, on countless concert platforms and at numerous festivals around the world, where he is a clear favourite with audiences, as well as appearing in films and DVDs. Known for his willingness to expand the opera repertoire, often by having roles written especially for him and for his fearlessness in tackling rare and unusual repertoire as well as established operatic roles, this charming, generous and elegant artist is constantly pushing at the boundaries of both opera and song and displaying a fierce work ethic with a busy touring schedule. His first album for Sony Classical will be released in 2018.